This Monday, September 1, Labor Day, will be Black Monday. The Louisville Cardinals will make their ACC debut in Papa Johns Cardinals Stadium against the Miami Hurricanes at 8 p.m. on ESPN. 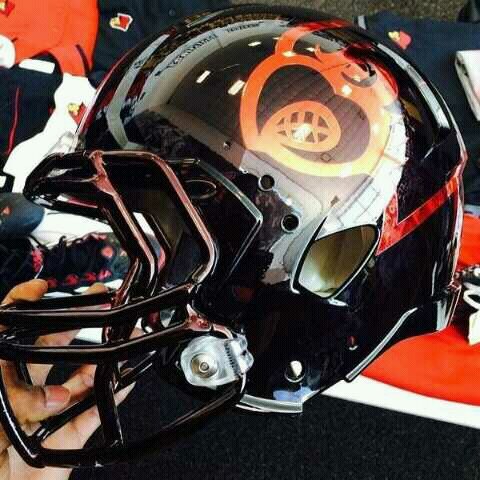 An Orange-out might be passe in Syracuse but the Cards fans and team are excited to be back in black. The traditionalist Charlie Strong refused the teams request to let them wear the black uni’s during his tenure, opting instead to stick with their more traditional red and white uniforms. 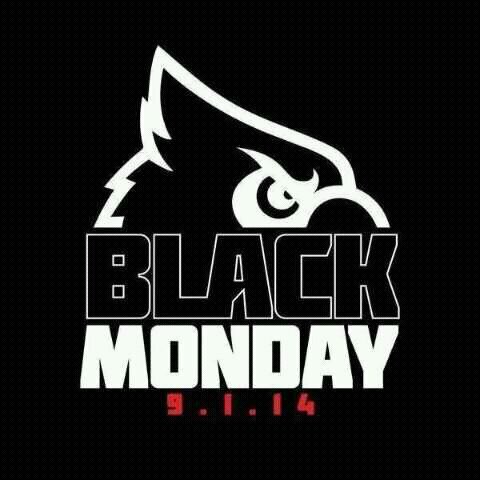 One of the first things Bobby Petrino did upon his return was to bring back the black, and why not, he introduced them in the first place. The Cards first “blackout” came on November 2nd 2006 as the #5 Cardinals battled #3 West Virginia in one of the biggest games in school history. Petrino led the Cards to a 44-34 victory in this epic Big East showdown. Louisville is 2-0 in “blackout” games as they beat Rutgers in the finale the following season. The Cards and Canes have met 12 times with Miami holding a 9-2-1 advantage but the Cards have won the last two meetings, 31-7 and 36-9. They first met on 11-10-1933 with the Canes prevailing 37-7. Their last meeting was in last season’s Russell Athletic Bowl. U of L out gained Miami by 380 yards en route to that 36-9 victory. Coach Petrino has a career record of 83-30 which includes a 41-9 record at Louisville and a 4-3 record in bowl games. During Patrino first stint with U of L, 2003-06, the Cards went 22-1 in home games has he emphasized defending their turf. He is also 9-0 in season openers overall. The Cards are 12-2 at home over the last two seasons. Unlike the bowl game, RB Duke Johnson will be in action for the Canes while U of L QB Teddy Bridgewater will not be. Miami returns 14 starters, 7 on offense and defense, while the Cards return 12 starters, 8 offense and 4 on defense. Miami will be starting Fr QB Brad Kaaya while Will Gardner only attempted a dozen passes in five games for the Cards last season. Gardner has struggled with injuries during his career. Taking all of this into consideration you can bet that it won’t be a one sided contest like the bowl game was. The key to the game for Louisville will be containing Duke Johnson while pressuring Kaaya into rooky mistakes. Gardner and the Cards will be without their offensive star Devante Parker and RB Michael Dyer game status is questionable as well. Despite these losses the Cards still possess some offensive threats and I expect Patrinos full throttle offense will still be able to score. I think this will come down to which defense can better contain their opponent. Even though new DC Todd Grantham is installing a 3-4 scheme, I still have to give the advantage to the Cards here. Johnson will be running right in to the strength of Cards defense, their front 7. 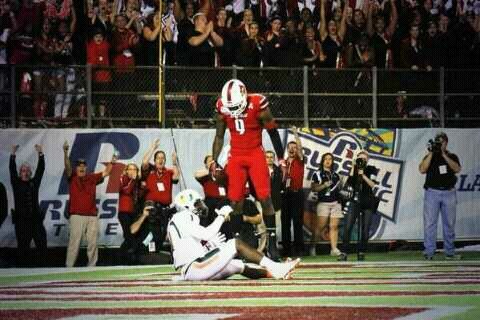 Johnson will keep the canes close but I will predict a 27-23 Cards victory. Update: Devante Parker suffered a broken foot during practice last Friday. He went to Charlotte to see the doctor that will be at the NFL combine for the operation. He will be out 6-8 weeks. Best case scenario he will be back for the Syracuse game but the FSU game is more realistic.